Figgy Vanilla Bean Tart — always with butter. 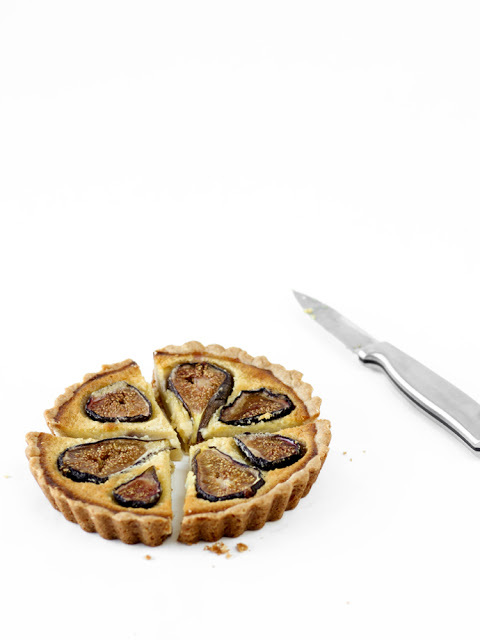 I made a figgy tart. 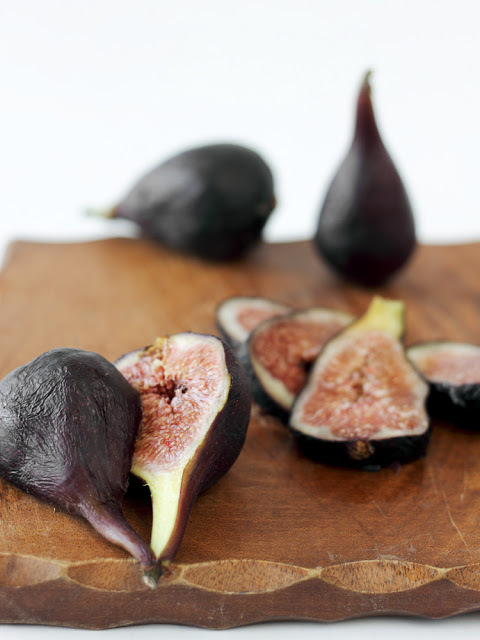 A friend of my mom gave her some figs (and I got some more today!) so I made a tart. It is pretty much the same recipe as the stone fruit tart but it somehow came out tasting totally different. First it was all vanilla and no almond, and also the layer of cream filling is much thicker since the figs seemed to take up less room than the stone fruit, so it tastes more custardy. I love how just a few slight changes in the recipe made it completely different. Oven 350. Butter two 6 inch tart pans. on baking sheet & bake for 12-15 minutes. Crust should be puffed & slightly golden. to prevent it from getting soggy. Yields two 6 inch tarts.